A Structured Data Cabling System is a set of complete Cabling and connectivity products that integrates the voice, Data, Video and various Management Systems of a Building including Safety Alarms, Security, Energy Systems, etc). With Structured cabling you can rest assured that your phone and data cabling is consistent, safe and scalable. Structured Cabling provides single point for all administrative and management requirements making it easy to identify and expand the network for future requirements. We specializes in the Design and Installation of Structured Cabling Services in Toronto. 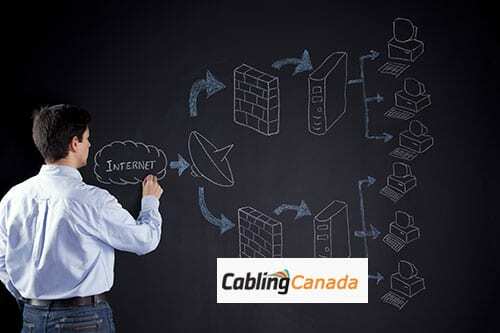 At Cabling Canada, we offer Structured Cabling services at affordable price. We offer both backbone (riser), and horizontal cabling topology. What is Structured Cabling? Our company has been offering structured cabling services Toronto for more than a decade now and we have served businesses in a variety of sectors and niches. Our main goal is to offer your business the necessary growth that you are seeking for, all while maintaining a true attention to detail and the ultimate convenience! Offering your customers the best possible internet connectivity all while being able to maintain a great productivity inside your own business as well. We at Cabling Canada offer both Structured Cabling and Point to Point cabling services in the Toronto area. We also offer several cabling value added services such as Cabling design assistance, installation audits, Network surveys, and other programs that are beneficial to your company. Our Installers are highly experienced and knowledgeable when it comes to designing the building with regards to low voltage cabling.